Quasimode consists of Yusuke Hirado (Piano, Keyboards), Takahiro "matzz" Matsuoka (Percussions), Kazuhiro Sunaga (Bass), and Takashi Okutsu (Drums). The demonstration, created with Masato Komatsu (Slowly) as the producer, attracted the VIPs attention on the club jazz scene, and released as the pre-release as 12 inches single world-widely on April of 2006 by Raw Fusion which is the most important label in Sweden. This single was welcomed fanatically by the top DJs and stirred the world. In July 2006, the first album "oneself-LIKENESS" was released. It acquired 1st place across the board with the club chart of the foreign-affiliated CD shops in Japan. The foreign version of this album was released by Freestyle in the U.K. as well. This made quasimode popular not just in Japan but worldwide. After that, the second single "Ipe Amarelo" was released by Raw Fusion. This single included the remix version of Spiritual South in U.K. and received high acclaim among the world, for example, Gilles Peterson nominated it as "Track of the Year" in his BBC radio show "World Wide". 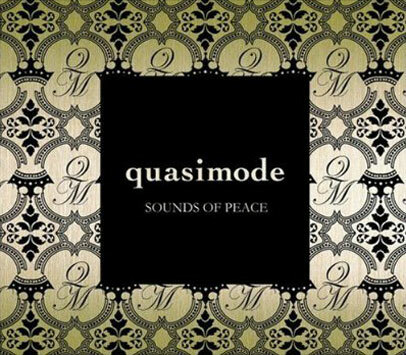 In September 2007, quasimode released the second album "The Land of Freedom". This album was got the 4th place for Gilles Peterson's "WorldWide15" which is the radio program of J-WAVE and the 1st places for the club jazz chart of iTunes Music Store and foreign-affiliated CD shops. The foreign version of this album was released by Sonar Kollektiv in Germany. This album was the biggest topic work on the club jazz scene in 2007. In March 2008, the live album "Straight to the Land of Freedom", recorded in the release party with Carmen Lundy, Masato Nakamura, and so on as the guests in Ebisu Liquidroom, was released. It rang up big sales remarkably as a live album. In addition, their remix and produce works, such as Idea6, Markus Enochson, Yasuko Agawa, Masa Collective, and so on, have earned sterling praise. Now not only Japan but the world especially Europe perk up their ears to quasimode. They are going to drop the much-anticipated 3rd album "Sound of Peace" in October 2008.